"Aport and Dragados, world leaders in the area of construction, have relied on Claro Vicuña Valenzuela. 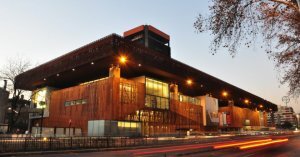 The Chilean company has also executed public and private works that have changed the face of the country." In six decades the company Claro Vicuña Valenzuela (CVV) has contributed permanently to the country’s growth. Its more than one thousand projects of a wide and diversified portfolio have made it one of the main construction companies in Chile and one of the most important actors in the public-private collaboration sector. Its expertise points to the area of civil works; road and interurban infrastructure; edification; social and private housing; earth movement, among other areas. “Our main clients belong to the health, mining, real estate, industrial, forestry, energy, ports, public infrastructure and concessions sectors,” says Sven Diethelm, Innovation Manager of the company. Its signature? The company executes each project in a comprehensive way. Some works are carried out under the modality of EPC (Engineering, Procurement and Construction), incorporating design, engineering and the construction process with all the logistics, processes, equipment and compliance with deadlines. During all this time, CVV has built several works of local relevance and this year the firm continues to consolidate its leadership, thanks to the construction of ambitious projects such as the Diego Aracena airport in the city of Iquique and the Copiapó desalination plant, considered as a of the largest in the country, together with the company Inima. Given the vast experience of the Chilean company, Claro Vicuña Valenzuela has attended various marketing missions such as in Spain, Germany, Australia and China. They are also analyzing export options to Perú. Given this scenario, the executive believes that the main characteristics that distinguish Chile as an exporter of services are the reliability and talent of human resources. “The industry of engineering and national construction is of recognized prestige, because we can stand out in the development of sustainable infrastructure”, affirms the manager of Innovation of the firm. “The national engineering and construction industry are of recognized prestige”. “We are recognized in the field for our professionalism and our ability to shape our projects around the clients requierments through carefull and effecient designs"
"The effort made by Chilean architects to continuously update their knowledge combined with high standards sets them apart"